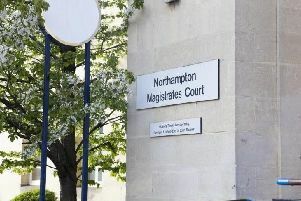 A shopper had his laptop stolen from his car in Northampton after being distracted by a man who asked for directions. The man left the Co-op store in Birchfield Road East, Abington, sometime between 3.45pm and 4.15pm on Wednesday, November 18. When he stopped in Beech Avenue to put his shopping in his car, a man asked him for directions to Kingsthorpe. After helping the stranger, the man realised his laptop had been taken from his car. The man who asked for directions is described as white, aged between 22 and 30, about 6ft and scrawny. He had facial hair, was wearing white trainers, jeans and a tracksuit top. It is believed he was eastern European. After asking for directions, the man got into a blue 52 plate BMW car.